Small and easy to handle: The XR2 Remote was designed to be comfortable to hold. The buttons used most often are within easy reach. Battery level indicator: Now you can test the battery power of your remote with a few simple button presses. Environmentally Friendly: Less materials and less power were used to make the XR2 Remote. 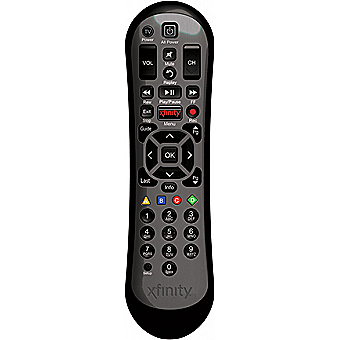 Aim Anywhere Control (RF Capability): With certain set-top boxes, as well as with HD DTA devices, the XR2 Remote has the ability to control your set-top box or HD DTA even if they are stored in a closet or another room, up to 50 feet away.